The Margaret Island, also known as Rabbit Island, is one of the most visited places in Budapest which is located between Margaret Bridge and Árpád bridge, in the middle of Danube river. Be surrounded by stunning nature with so many different kind of plants will leave you breathless, including several hundred year old plane trees. There is a few main sights that must be seen during the stay on the island. 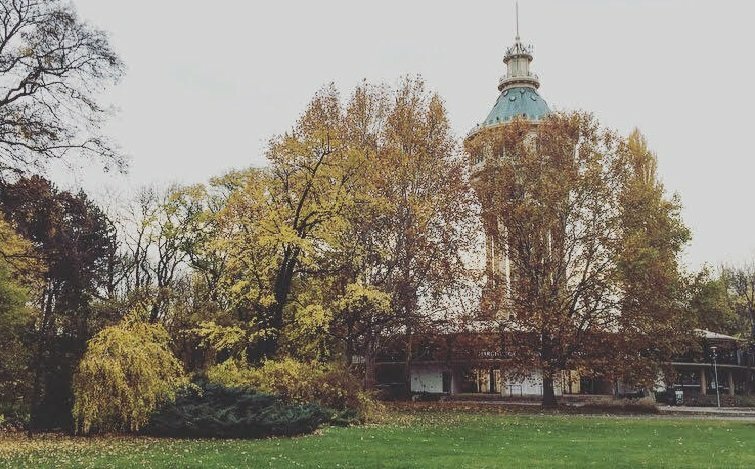 On the UNESCO world heritage list is fifty seven meters high water tower which provides to visitors a great view on Buda and Pest side of the city. More than hundred years old, a tower looks like a large theater with three thousand and fifty seats, where you can enjoy from May until October, in the days when it’s open. Large Margaritsziget fountain attract a lot of domestic and foreign people, who are usually sitting all around the fountain, relaxing alone or with the family and friends, listening the background music by day with a magical view. The fountain is beautifully illuminated by coloured lights at night. The fountain’s musical performance are at 6pm and 9pm for full shows and at 10:30am, 5pm and 7:30pm for 4-song shows. A walk tour through the ruins will take you back in Margaret’s Island history, more precisely in the 13th Century. One of the most important ruins are remains of the Dominican convent, but not so far from these, you will also see the ruins of a Franciscan church of which are just some walls here to remind us about historical moments. Medieval Premonstratensian chapel of Saint Michael with the oldest bell in Hungary is located north of the Dominican convent ruins. Pet ZOO is also one of the popular spots of island, especially for the families with little kids during the warmer months. The rabbits, deers, owls, peacocks, mandarin ducks are just some of the animals in the park. Entrance is completely free. A perfect romantic place in the spring covered with hundreds of flowers is Rose garden which is located right in the middle of the island. Smaller, but not less worthy is Japanese garden inspired by Japanese culture with long red and black metal benches where you can see artifical waterfall between many dwarf trees. It is necessary to mention 17th FINA World Championship which was organized in July 2017 where Margaret island, exactly Alfréd Hajós National Swimming Complex, was one of the main places during the world’s biggest water-sports contest across Budapest. For sure, Margaret island is on „must see” list places in the capital city of Hungary.